Started on computers in the mid 1970s. Worked in many occupations from programming, repairing, support, ISP and networking. Still have a love for them, sometimes my wife thinks more than her, but we've been together over 25 years so I guess she is used to it. 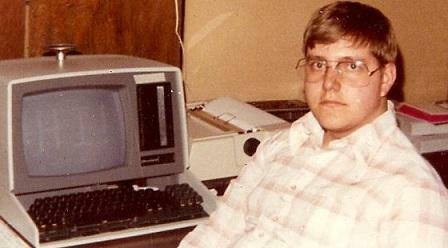 Picture of me in early 1980s with my Healthkit H89/90 in my parents basement. Have two grown children, two grandchildren. Love trying new foods and am pretty adventurous on trying different things. Like to travel, but have not gone abroad yet. It's in the works. Interesting project. Wanted to see what it did and how it might help others.